This popular H-Bridge chip can be used to drive 2 DC motors, solenoids, relays, or other inductive loads with a peak current of 2 amps and a continuous sustained current of 1.1 amps per driver. Supports load voltages from 4.5V to 36V. 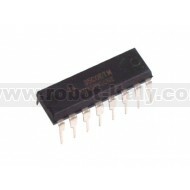 Contains internal protection diodes and thermal overload protection. Two SN754410NE chips may be stacked to double the current capacity. 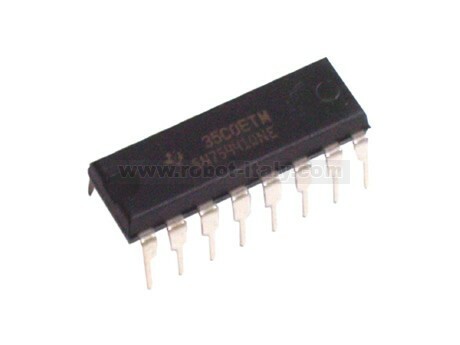 The SGS Thompson L293D is one of the most common motor driver chips, with built-in protection.